If you plan on attending National Finals this year, then you need to read this special edition of the Coaches’ Newsletter! Key information about hotel accommodations, registration, scholarships, and more are contained, so be sure to read through it all. 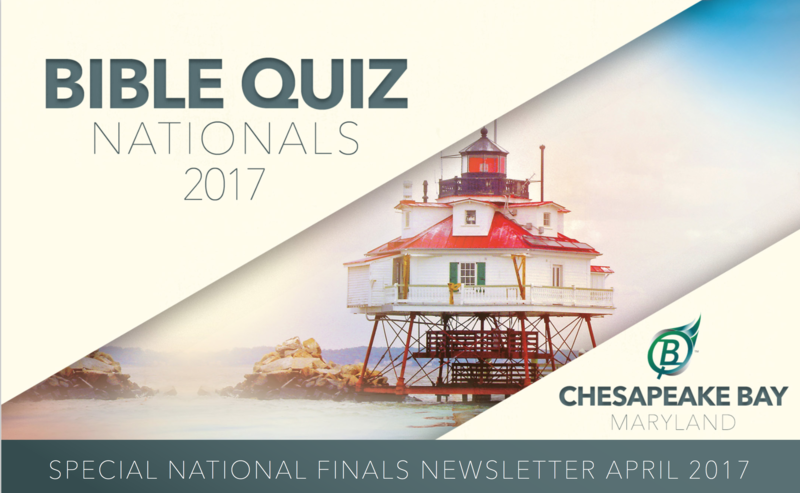 You can quickly subscribe to the National Coaches’ Newsletter by visiting BibleQuiz.com/subscribe. If you have results from your league meet or tournament, send them to hello@biblequiz.com.